Can a Point-of Delivery signature be electronically captured and transmitted to your air max 270 pas cher office and a bill generated and emailed (or faxed) to your customer before the driver leaves the parking lot? 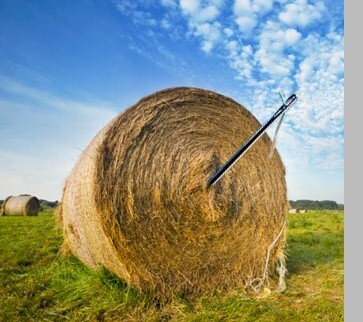 RVI Mobile Signature Capture, developed exclusively for the iPhone, iPad, or iPod Touch, can accomplish this task! The receiver signs for the delivery on the mobile device, the signature is merged onto the delivery document and emailed (or faxed) to your air max 270 pas cher customer within seconds. This new application is available free to RVI Complete customers on Version 8 or greater. It only takes a few simple steps to complete the signature process. Within seconds, the delivery document is emailed or faxed to the receiver! This entry was posted in Informational and tagged Android app, document imaging software, enterprise content management, IBM i applications, ibm solution, ipad app, iPhone app, mobile app, mobile image access, mobile signature capture on February 27, 2011 by admin. The RVI server based application (RVI-SB) is now in testing and will be available soon. This air max 97 pas cher application will run on Windows, Unix, AIX and Linux and IBM i platforms. The MySQL, Oracle, and DB2 databases are supported. You get the user friendly functionality of Real Vision Document imaging in a web-based application. New Graphical Menu structure that allows you to individualize the air max 97 pas cher menus to meet the individual user or group's specific needs. Multiple image systems may be defined for different departments allowing you to individualize indexing structures and authorities to meet your needs. Up to 99 indexing fields may be defined for each image system. Prompts can be drop-down lists or pop-up calendars and data formatting is allowed. Color documents, black & white documents, spool files and OEM documents are supported. View images in a PDF viewer, the RVI PC Viewer, or web viewer. From within the workbasket, you may approve documents, add reminders and move documents automatically within your organization, build packages, add notes, continue or change the routing order. From the Workflow Analysis inquiry screen, you will see who has which items in their workbasket by department, document type and overdue items. Run totals and graph the number of documents as they move through the workflow process. Integration to the RVI-SB system can be done through code interfaces using an HTML post, hyperlink or COM object from your application. Can also be done through Screen Scrape. Index information may be taken off the screen and passed along with security information and image system designation to have the documents quickly appear for air max 97 pas cher you to work with. Existing RVI customers on the IBM i platform must upgrade to RVI Complete. No upgrade fee is required for an existing RVI Complete customer. Pricing is based on the number of documents stored. There are no user fees. This entry was posted in Informational and tagged document imaging software, enterprise content management, IBM i applications, ibm solution, ipad app, iPhone app, mobile image access, mobile signature capture, RVI Complete System, RVI Express, RVISB on February 27, 2011 by admin. The RVI Cloud Solution provides a stable and reliable operating environment for your air max 270 pas cher business data with reduced IT operating costs and rapid ROI with reduced monthly billing based on your company's data storage size. For more information, call 318-445-4579 or email rvoffice@realvisionsoftware.com. This entry was posted in Informational and tagged Android app, Cloud Solution, document imaging software, enterprise content management, IBM i applications, ibm solution, ipad app, iPhone app, mobile app, mobile image access, RVI Cloud on February 27, 2011 by admin. We've been scanning documents for cheap trainers uk years now but it is often a headache trying to locate the exact documents we are after. We've taken advantage of technology price breaks and have purchased PC attached scanners. Multi-function Devices (MFDs) to replace our copiers or network attached scanners. That makes it very simple to digitize most of our documents. While searching through electronic files is definitely much easier than digging through paper files, there must be a better way to get organized. Can an imaging system help our situation? Long answer - capturing documents is really a two-step process. First you SCAN the documents, then you INDEX them. Scanners (and MFDs) solve half the cheap trainers uk equation, but an imaging system (like RVI) will also address step #2. Once your documents are BOTH scanned AND indexed, your search capabilities are greatly improved. RVI enables you to set up as many as sixty-five imaging systems, (AP/AR, HR, etc.) each of which can have up to ninety-nine Key Index Fields (Vendor Number, Customer Number, Date, etc.) which can be used to search for individual documents. RVI supports Optical Character Recognition (OCR) which included the capability of full-text recognition. As documents are scanned, the optional OCR engine builds a keyword database allowing you to search on keywords within the cheap trainers uk document or across multiple documents. RVI can import the scanned TIFF images you have created using your PC attached scanner, MFD devices or network attached scanners, run them through the OCR engine and convert them to searchable PDFs. This gives you the ability to search for words within the single PDF document. This entry was posted in Informational and tagged Android app, document imaging software, enterprise content management, IBM i applications, ibm solution, ipad app, iPhone app, mobile app, mobile image access, mobile signature capture, RVI Cloud, RVI Complete System, RVI Express, RVISB on February 26, 2011 by admin. Mobile document Management just got easier! The RVI Apple iPad and iPhone appliction is now available from the Apple Store, search for Real Vision! With business, industry and government looking for yeezy replica innovative ways to be more efficient and reduce operational costs, the Apple iPad is making a big hit! With its compact size and high quality display, the Apple iPad and iPhone provide great mobile computing devices to retrieve and view documents whenever you need them. RVI, the most user friendly, feature-rich, affordable document imaging solution out there today, has developed an application for iPad and iPhone that allows instant access to your important information. 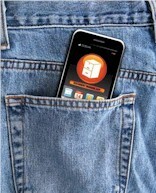 "A File Cabinet in Your Pocket" - Click here for a free whitepaper! Great news! Support for the RVI Apple iPad and iPhone application is included with RVI Version 8 at no charge! This entry was posted in Informational and tagged Android app, document imaging software, document workflow, enterprise content management, IBM i applications, ibm solution, ipad app, iPhone app, mobile app, mobile image access, mobile signature capture, RVI Complete System, RVI Express on February 18, 2011 by admin. My company is considering the RVI imaging solution. We know the air max 90 homme pas cher RVI solution brings efficiency, savings and improved customer service. My manager has asked how can we justify it. Can you help me? The first question you need to answer is... what is the $$$VALUE to getting information faster or the $$$PENALTY associated with delays. The easiest approach to justification of the RVI document image solution is to look at the operational costs that can be reduced by implementing RVI. Here are some things to look at. How much floor space can be reclaimed by eliminating many of my current file cabinets? What is the value of that floor space? existing document and then re-file the same document? How much time is spent setting up new files each calendar year? Off-site storage costs related to the expense of the storing older documents and the costs for retrieval of documents from that storage space. What are the costs to purge and destroy the outdated documents? How much labor is involved each year to move documents to the off-site storage space? How many documents can I create and distribute to employees and customers as an electronic document? Every time I send an email with air max 90 homme pas cher a document attached, I save the costs of printing and mailing the document. If I can send reports, invoices, statements electronically via email how much Fedex, UPS and US postal costs can I save? How much labor can I save by not having to burst the reports and then manually distribute them? In addition to these costs there are other benefits that can be used to justify the RVI solution. RVI can help you with the justification by answering your questions. For additional information, read "7 Tips for Selecting a Document Imaging System"
Please give us a call and we will be happy to work with you. This entry was posted in Informational and tagged Android app, document imaging software, document workflow, enterprise content management, IBM i applications, ibm solution, ipad app, iPhone app, mobile app, mobile image access, mobile signature capture on February 9, 2011 by admin. "Going green"is getting a lot of attention these days. However, many air max 270 homme of us tend to assume that we're too small to make a difference. The reality is that every little contribution helps and it all adds up to something significant. We only have one planet and its up to each one of us to be environmentally responsible. RVI has been a Green Solution long before the term even existed. And whats wrong with having a product that can improve your business and have a potential impact on the environment at the same time? 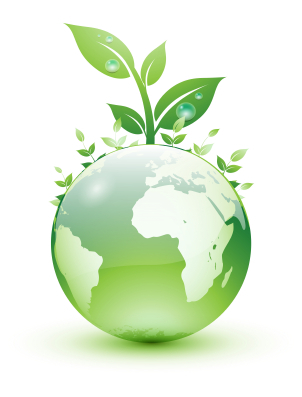 RVI reduces your consumption of paper, saving thousands of trees every year! Did you know that 30% of paper is consumed in the United States? Driving paper out of the core business process has the immediate impact of reducing the number of trees used. It takes 20 years to grow one pulp tree that is 50 feet tall with an 8" diameter. One tree equates to 8,333 sheets of paper (assuming 16.67 reams @ 500 sheets). Each ream of paper (500 sheets) consumes 6% of a single tree. This does not factor in other supplies such as folders, transport boxes, pre-printed forms, ink/toner cartridges, binders, markers, copy costs and much more. RVI reduces your document storage requirements which translates to space savings! Fewer paper documents means fewer file cabinets, less floor space for onsite records storage and less real estate required for offsite warehouses and retention services. Not only does this air max 270 homme reduce your environmental footprint, but it helps improve your energy effeciency by lowering the need for power, lighting, humidity control and consumption of other facilities necessary to operate every square foot of space that is occupied. RVI eliminates transporting documents which reduces fuel and carbon emissions! RVI enables digitized documents to be accessed by anyone from anyplace at anytime. And the emergence of distributed scanners at reasonable prices makes it easy to eliminate paper at its point of origin. The need for courier services to move paper between locations is significantly reduced which directly correlates to savings in fuel consumption (barrels of oil) and its associated carbon emisssions. According to a case study on the AIIM website "...one barrel of oil can produce nine gallons of diesel fuel. Each gallon of diesel fuel burned releases 22.2 pounds of carbon into the atmosphere. Even if you cannot account for exactly how much fuel is consumed in transporting documents, you can certainly understand how quickly these calculations will add up. The cost of moving electronic information to workers is insignficant as compared to the cost of moving workers to centrally stored documents. Since access is now independant of air max 270 homme geography, worker travel time can also be reduced resulting in greater savings in fuel consumption and carbon emissions. In addition to these very tangible financial and environmental benefits, Go Green initiatives generate good publicity and resonate with the local community. IBM is demonstrating this with it's current "Smarter Planet" theme and many companies are promoting their efforts on their websites. Even if you are just a "small player" in your industry, it all adds up. So whats the best way to get started? Theres no wrong way! Reducing your consumption of paper is a lot like going on a diet. The toughest part is just getting started. The sooner you do, the quicker you will start seeing benefits. This entry was posted in Informational and tagged Android app, document imaging software, document workflow, enterprise content management, IBM i applications, ibm solution, ipad app, iPhone app, mobile app, mobile image access, mobile signature capture, RVI Cloud, RVI Complete System, RVI Express, RVISB on February 6, 2011 by admin. RVI has added several new enhancements to the Version 8.0 Viewer. In the RVI Viewer preference tab, we have added new switches to enhance the air max 97 pas cher functions of RVI. "Display warning when importing files larger than average during drag and drop". Users can specify the size limit. "Backup Drag/Drop files". Checking this option will move the files into a subdirectory when mulitple users are using a common directory. The viewer will make sure the files are dragged/dropped only once. This entry was posted in Informational and tagged document imaging software, document workflow, enterprise content management, IBM i applications, ibm solution, RVI Cloud, RVI Complete System, RVI Express, RVISB on February 6, 2011 by admin. Make it Happen Faster With RVI's Mobile Signature Capture System! I know an imaging system can help us organize and manage yeezy scarpe our documents more effectively, but nothing gets started until we receive the signed paperwork back at the office. Deliveries are made, customers approve the shipments and our drivers have to return the Proof of Delivery documents before we can prepare our invoices. With RVI's new Mobile Signature Capture system, you can make it happen faster! 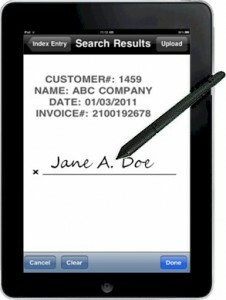 Using an iPad, iPhone or iTouch device, your drivers can select the specific document to be signed at delivery time. Once the receiver approves the shipment, the document can be signed using the stylus or by hand, and the Proof of Delivery is transmitted back to your office. Additional supporting documents can be gathered (using RVI's Rendition Billing) and the yeezy scarpe invoice can be prepared and emailed or faxed to your customer's Accounts Payable department before the driver leaves the parking lot! The capture process is streamlined, your invoices are prepared accurately and promptly, and your customer has the information they need to process and pay your invoice faster...reducing your company's Accounts Receivable lag time. This entry was posted in Informational and tagged Android app, document imaging software, enterprise content management, green screen, IBM i applications, ipad app, iPhone app, mobile image access, mobile signature capture on February 4, 2011 by admin. My budget is limited, but my problems are getting bigger. I have less people running the Nike Air VaporMax pas cher business than I did three years ago. The workload is taking its toll on my employees. Morale is being affected. I am fearful that our service to our customers may become a problem. Are there any affordable projects that will help me improve my workers' efficiency? The RVI Express solution is a great "Back to Basics" project. The paper based filing system that you use today is a tremendous waste of your employees' time. They have PC's at their desk, yet they still make copies of documents and file them in folders in filing cabinets. Why not give them a digital filing system that can manage all of the documents and reports they work with. With the RVI Express solution, you can capture paper documents using your existing scanners or multifunction copiers. RVI Express can import your PC created documents, reports and files, and store them in the digital filing system. RVI can also capture any printed output from your IBM i applications and allow them to be placed in the digital filing system. Once the documents are filed in a digital format, you can view and work with the documents 24/7 in the office or remotely over the internet. You have access to the reports or documents any time you need them, Your employees don't need to leave their desk or make paper copies of Nike Air VaporMax pas cher documents anymore. With the workflow capability that comes with the RVI Express solution, the digitized documents can be routed to your employees instantaneously as part of your daily work process. The ability to get the documents in digital format cuts days, hours and minutes from the processing cycle. RVI Workflow will speed up the process and you will have better control over the documents/reports. The RVI Express solution is very affordable. It will save you money and dramatically improve your employee productivity. It will also improve morale so that your Nike Air VaporMax pas cher employee can handle their growing workloads. This entry was posted in Informational and tagged Android app, document imaging software, document workflow, enterprise content management, IBM i applications, ibm solution, ipad app, iPhone app, mobile image access, mobile signature capture, RVI Complete System, RVI Express on February 4, 2011 by admin.